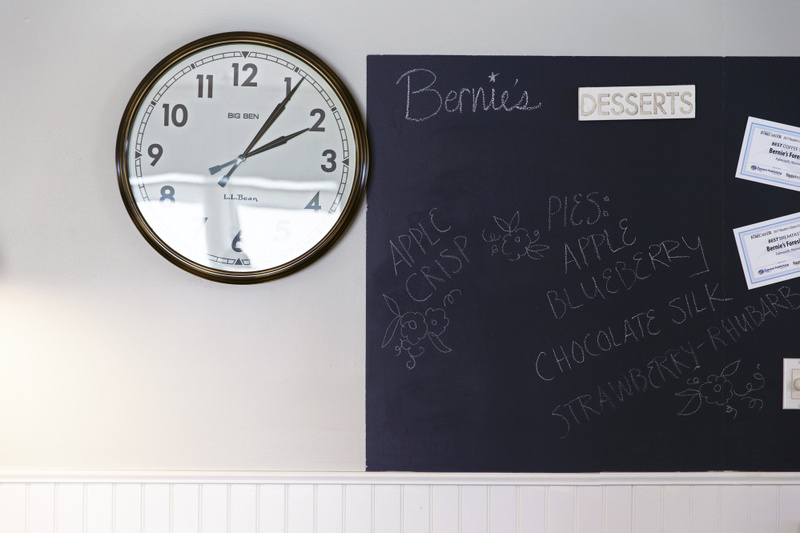 Eateries like Bernie's Foreside and Esidore's in Falmouth have found the arrangements have both benefits and challenges. 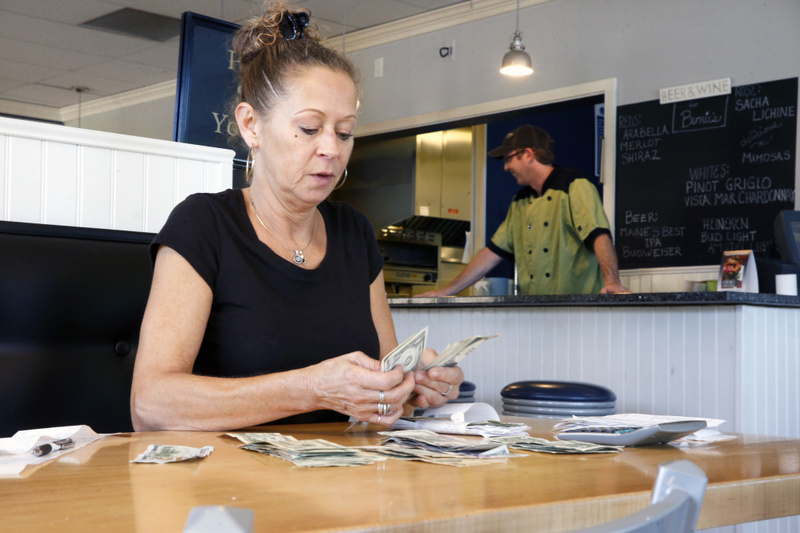 FALMOUTH — Missy Dwinal is coming to the end of her 4 a.m. to 2:30 p.m. shift at Bernie’s Foreside, a popular breakfast-and-lunch spot on Route 1. Still toasting bread, she passes one of the last sandwiches of the day to Judy Dyer, who takes it out to the dining room. Over the next half-hour, the number of lingering lunch customers will dwindle to one lone man finishing up his fries. Dwinal, Dyer and Sal Parra, the line cook, will store food and equipment away, sweep the floors, and do all the other chores that need to be done before a restaurant closes for the day. But the kitchen at Bernie’s will not close. Chef Jay Harris and his crew will swoop in with their own supplies and start prepping for dinner, when the restaurant space is transformed from a soup, salad and sandwich spot into Esidore’s, a bistro with an unusual mix of Asian and Mexican food. 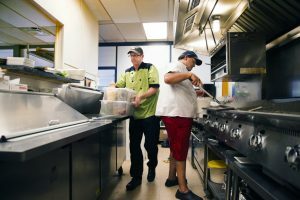 The idea of restaurants sharing their kitchens has been coming to life all over the country in the past three to five years, and the trend has recently reached Maine. Portlanders may immediately think of the former Good Egg Cafe and Pepperclub, restaurants that were housed in the same Old Port space. But today’s arrangements are different. The Good Egg and Pepperclub were owned by one person, while these new arrangements are marriages of two or more businesses and take shape in myriad ways. Patrick Bottiglieri, professor of business management at the Culinary Institute of America in Hyde Park, N.Y., knows of no statistics illustrating how widespread the practice is. But he said such arrangements come with both financial benefits and downsides. Scheduling conflicts, sanitation issues, equipment space, and lack of storage can all be problematic, especially for bakeries. In Maine, shared kitchen arrangements often arise out of friendship. Sushi cart chef Jordan Rubin wanted to open his own restaurant, but “financially it was hard.” So he worked out an arrangement with Aaron Mallory, the chef at 33 Elmwood in Westbrook. The two men are former kitchen co-workers and friends. “If there is any way I can help a friend succeed in this business, in this town, and all I have to do (is share a kitchen), I’m all about it,” Mallory said. During busy weeks for his sushi cart, Rubin uses the 33 Elmwood kitchen four days, arriving at 6:30 a.m. and leaving by 9 a.m., shortly before Mallory’s prep crew comes in. Mallory charges Rubin $25 per visit, which makes just a small dent in his overhead, but he doesn’t mind since he’s helping out a friend. Austin Miller, co-owner of Mami, remembers the hardest thing about starting a food truck in Portland was finding affordable commissary space; some places charged as much as $800 a month, he said. So as soon as he and his fiancé opened their own brick-and-mortar restaurant, they made a prep area available for $150 per month to a friend who owns the Snappy’s Tube Steaks food cart, and to the owner of Strictly Cold Brew; the extra income helps pay Mami’s utilities and other costs. Portland restaurateur Jason Loring is not helping to launch a new food business, but a shared kitchen is useful for other reasons. His plan to sell pizzas from Slab, his Preble Street restaurant, at the East End Cupcake’s Fore Street storefront, is a bid to capture more Old Port tourist dollars as well as late-night barhoppers with the munchies. He’ll share profits with Alysia Zoidis, owner of East End Cupcakes, who says her friendship with Loring is her main motivation. One of the longest-running shared kitchen arrangements in Maine also grew out of a friend helping a friend. When Derek DeGeer attended his first Kneading Conference in Skowhegan about seven years ago, it inspired him to start baking. Soon people were suggesting he sell his loaves. One of his best friends, Rick Hirsch, the chef/owner of the Damariscotta River Grill, offered to let him use his kitchen and convection oven during off hours for $50 a month. So DeGeer went to the restaurant at 10 p.m. to mix and shape doughs until about midnight. He’d come back at 4 a.m., after the dough had time to rise, and bake until 8 a.m., leaving before the staff arrived to begin prepping for lunch. “People loved it, and I just couldn’t bake enough bread,” DeGeer said. He moved to a café and bakery where the ovens were free from 2 p.m. until 2 a.m. and remained there for three years. Eventually, Damariscotta River Grill built a prep kitchen for catering jobs and DeGeer moved back in, customizing some of that space for himself and renting it for $500 a month. The owners of Damariscotta River Grill are good customers – they serve DeGeer’s ciabatta and rye, and the two businesses do a shared pizza night every Friday – and good mentors, DeGeer said. Hirsch helped him research pricing, and has modeled how to manage stock and purchase ingredients efficiently. But DeGeer’s baking business has grown so big – he’s added pretzels, croissants and more to his line – that he is again outgrowing the Damariscotta River Grill. This spring, DeGeer plans to move production to his renovated garage, where he estimates he’ll be able to double his output. That’s why setting boundaries in the beginning is important. Many entrepreneurs interviewed for this story mentioned that they view themselves as guests in someone else’s home, so they always clean up after themselves and leave things the way they found them. DeGeer’s experience also illustrates that these situations are almost always temporary. Falafel Underground, which has shared space three nights a week with Union Bagel on Cumberland Avenue in Portland since March 2016, hopes to have a new location locked down by the end of the year. Co-owner Scott Ryan says they have outgrown the bagel shop and want to create a more expansive Middle Eastern menu. Kerry Hanney’s Night Moves Bread + Pie is preparing to move on with the help of a GoFundMe campaign that Hanney hopes will pay for a bread oven and a stone mill. Hanney has been based at Maple’s in Yarmouth, a coffee shop/bakery/gelateria, for the past year and a half. She needed equipment and space for her fledgling bakery, and Maples’ owner Robin Ray was looking for someone who could supply Maples with bread and pie. They worked out an arrangement whereby Hanney arrives at Maples after it closes at 2:30 p.m. and bakes all night, leaving when the Maples staff returns at 4 a.m. Using Maple’s equipment helped Hanney increase production in a major way. Instead of baking two loaves at a time in her home commercial kitchen, she can produce 14 loaves at Maples. When she started at Maples, she had just two accounts. Now she has 12, and a list of customers she lacks the space and time to supply. The arrangement at Bernie’s/Esidore’s Bistro @ Night is still new, and it’s taking time for Harris to build up his clientele. Two months in, he’s just starting to see some crossover with daytime diners. While Bernie’s offers eggs, pancakes, club sandwiches and patty melts, at night Harris changes it up entirely. The dinner menu is an eclectic mix of tacos, Asian-style noodle bowls and chicken tikka masala. The transition from daytime to dinner service begins around 2:30, just after Bernie’s closes for the day. On a recent afternoon, Chef Jay Harris opened the door to the walk-in cooler, where a few shelves held containers of his marinated pork, roasted peppers, pickled onions, purple asparagus and yogurt-marinated chicken. This is Harris’ third restaurant. He and Adam Shapiro, the businessman who owns Bernie’s, are cousins. Shapiro had long dreamed of finding someone to run a nighttime restaurant in his Bernie’s space. Then Harris called to tell say he was moving back to Maine. Shapiro owns part of Esidore’s for licensing and insurance reasons. Harris says he pays his cousin $2,500 a month in rent, about half of what he would pay in Portland. For now, Bernie’s and Esidore’s co-exist, sharing things like plastic wrap. Harris buys fryer oil for both restaurants. There are two fryers on site, and one restaurant changes the oil in one fryer, the other takes care of the second fryer. The two businesses sometimes alternate buying sugar and salt. The biggest challenge is storage, Harris said: There is never enough. Shapiro says his cousin’s food is “great,” but he worries the menu is not broad enough to attract enough customers. But so far, both men seem to be happy with their arrangement.